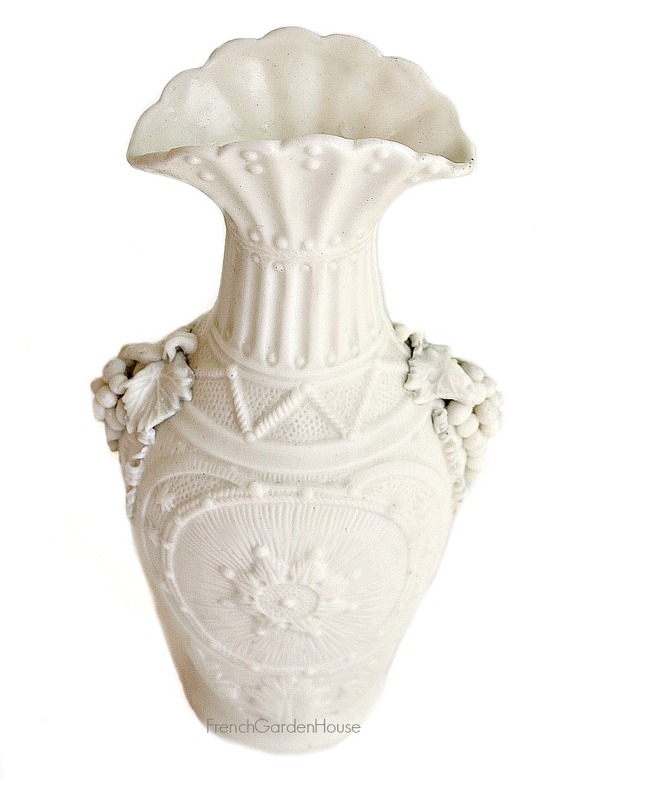 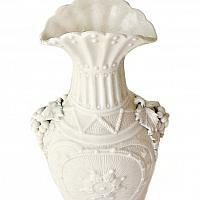 Exceptional Antique Parian Bisque Vase of deeply molded quality, mid 1800's. 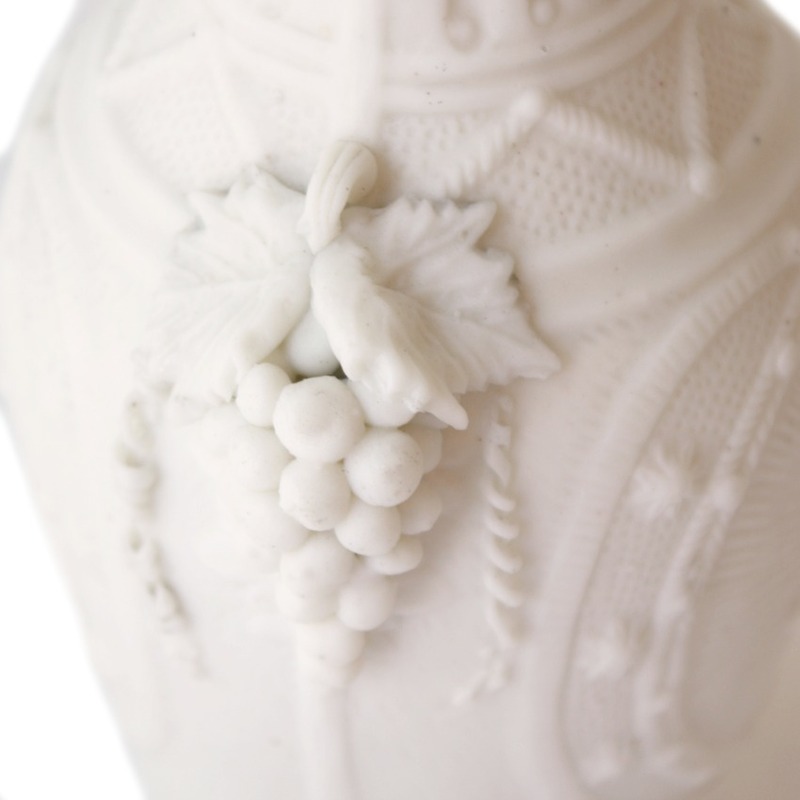 Produced by Meissen, Minton, Coalport, Copeland, Wedgwood, Worcester, and many other high quality makers, these Parian decorative pieces exuded elegance, opulence and wealth. 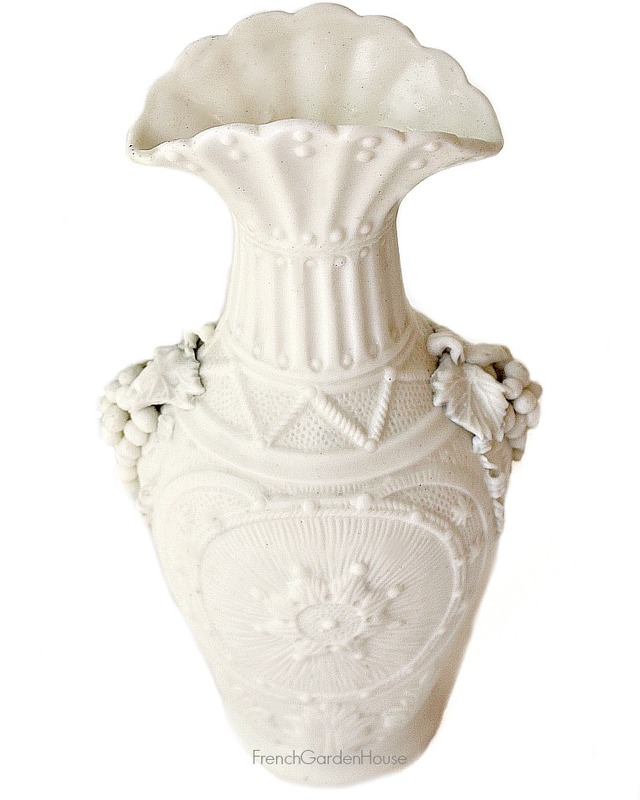 Great attention to detail makes this a valuable heirloom piece, it was a lengthy, complicated process to produce, this is one of the finer fluted vases. High relief design, of acanthus leaves, flowers and fanciful designs, and hand made and applied grape clusters on two sides. 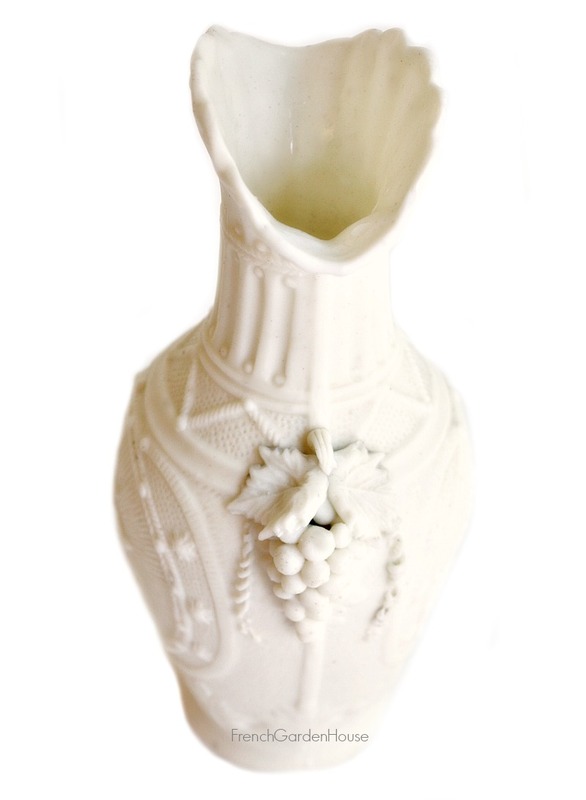 The scalloped shape is so elegant and feminine and compliments the vase, the all around charm of this decorative vase is truly exquisite! 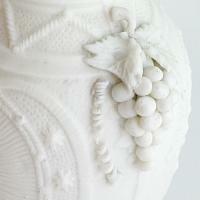 Crisp modeling, there is some loss to the grape tendrils as shown, and a loss to the leaves. 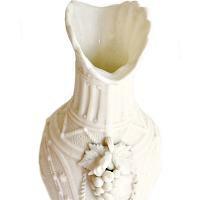 Display this with your collection, arrange roses or other flowers inside, this is a treasure. 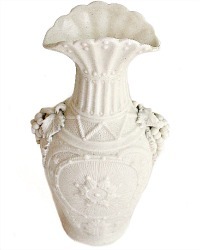 A rare find, don't miss this one! 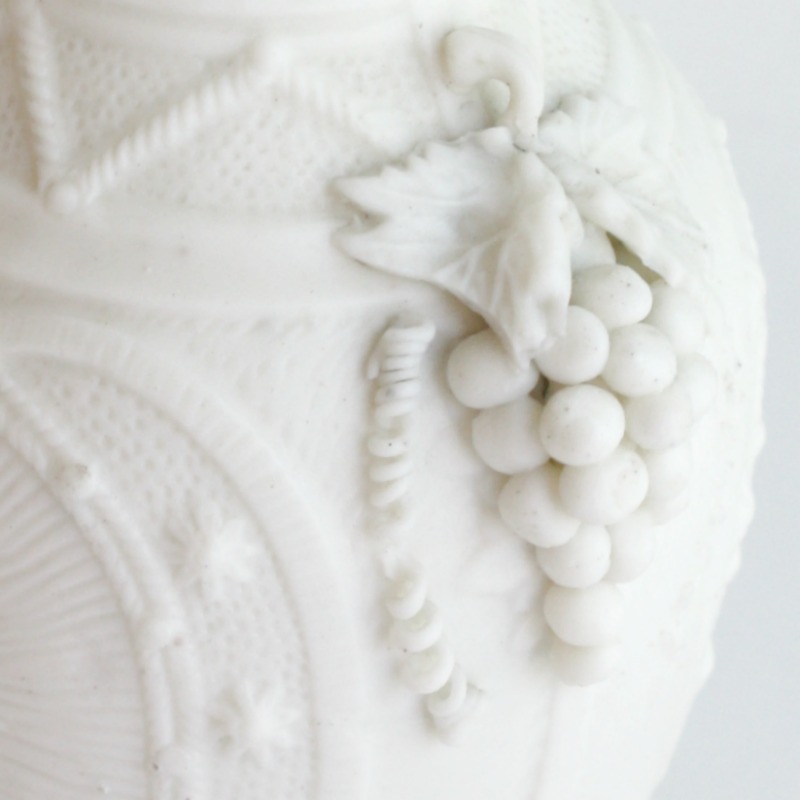 Unmarked, as the early pieces tend to be.